Description 8"Crystal Plate which comes in velvet lined box. Engraved with a tall ship. 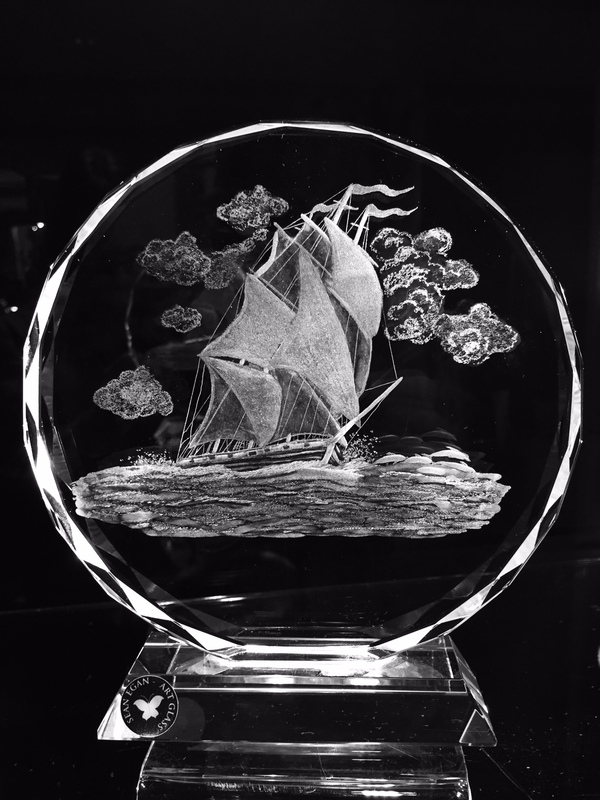 Tall ship engravings are very versatile and can be engraved on a wide variety of glass items. Contact Sean for queries.